4. 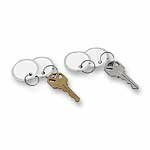 Round Metal Rim Key Tags, 1-1/4"
6. 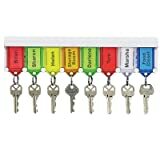 Round Metal Rim Key Tags, 1-1/4"
Ideal for retail, real estate, hotels, housekeeping or janitorial departments, or any place multiple keys are kept and loaned out. 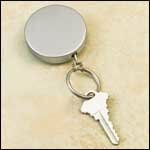 Round 1-1/4" diameter tag with sturdy metal rim and split key ring. 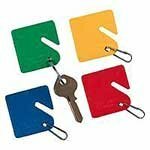 Assorted pack includes white, yellow, green and red tags. 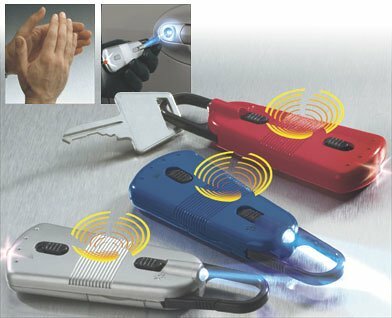 Flexible coil easily expands; keeps keys within easy reach. 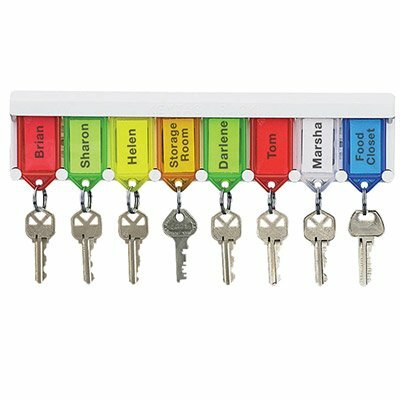 For use with Color-Coded Tag Rack (PMF04991), sold separately. 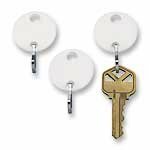 Additional key tags for DBL195323 and DBL195523 key cabinets.